Worth Harley-Davidson®, family-owned and operated since 1978, carries one of the largest computerized inventories of Harley-Davidson® motorcycles, parts, accessories, and MotorClothes® merchandise in the Midwest. If you can't find what you're looking for, let us locate it for you. We have a huge selection of new and used Cruisers, Touring, Standard, Trikes, and Sport Motorcycles! We also carry the full line up of Harley® families including the CVO™, Dyna®, Softail®, Sportster®, Street™, Touring, Trike and V-Rod® in Kansas City, MO. 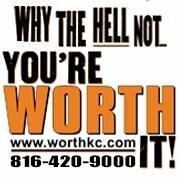 Proudly serving the surrounding Overland Park KS, Shawnee KS, Independence MO, and Gladstone MO areas! Worth Harley-Davidson® specializes in performance. Our state-of-the-art performance departments are manned by staff who are knowledgeable in racing and Harley-Davidson® products. Bring your motorcycle in for a complete diagnostic check-up with the help of the Dyno-Jet. It's "seat-of-the-pants" road testing and we've got it! Come in now and see for yourself why Worth Harley-Davidson® North has been recognized nationally for our outstanding customer service. Worth Harley-Davidson® North, a Kansas City tradition since 1978. We're all one big family here at Worth Harley-Davidson® North, drop in and join the family.